Longtime readers will already know that I’m a fan of Daniel Humphreys work. They’ll also know the caveat that I have to provide: Dan and I “attended” the same online writing class from Larry Correia, and we’ve participated in the same closed Facebook group that resulted from that class. 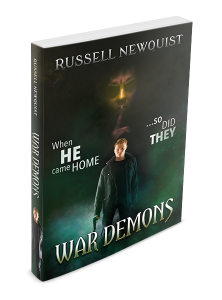 He’s also provided an excellent blurb for my new novel, War Demons. With that said, these are my honest opinions on his first urban fantasy novel, Fade. 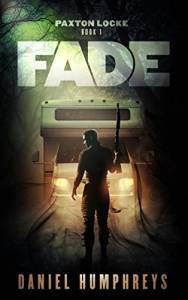 Fade is book one of the Paxton Locke series. Paxton Locke, unsurprisingly the series’ protagonist, suffered a rather unfortunate childhood. I can’t go into that too much without spoiling the book. Suffice to say, he also developed a bit of magical power. As the book begins, he’s using that power to help rid unfortunate people of the traumatized ghosts that haunt their homes. But then one of those ghosts gives him a message from beyond the grave. Everything hits the fan from there and the plot explodes. I don’t actually want to say a lot more than that, because this book has a ton going for it in the plot department. Paxton Locke manages to out-Dresden Harry Dresden. Read it for yourself and enjoy it. 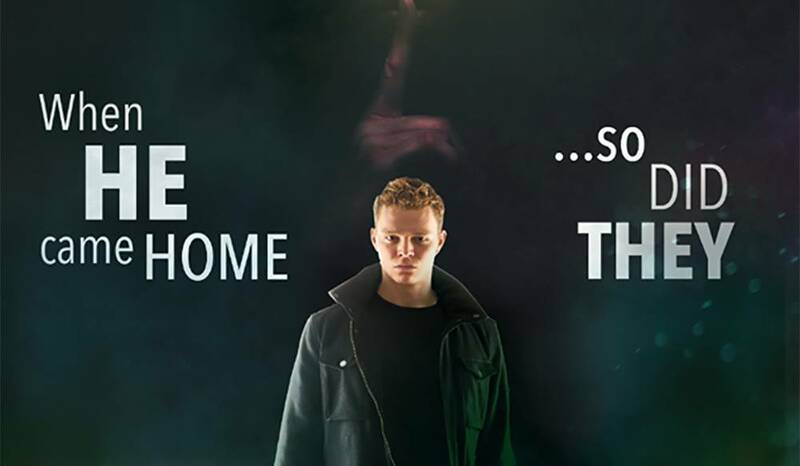 I loved Humphreys’ A Place Outside the Wild enough to give it five stars even though I’m not a fan of the zombie genre. I am, however, a fan of the urban fantasy genre. When you add Humphreys’ fantastic writing to a genre I love, the result is truly amazing. I blew through this book faster than I could blink, and my only complaint is that Dan is busy writing the sequel to his zombie book instead of this one. Thankfully, he’s nearly finished with that book, so we should be getting the sequel to Fade sooner rather than later. If you liked War Demons, you should definitely check out Fade while you’re waiting for the sequel. It won’t disappoint you. This is one of the easiest five star reviews I’ve ever given. 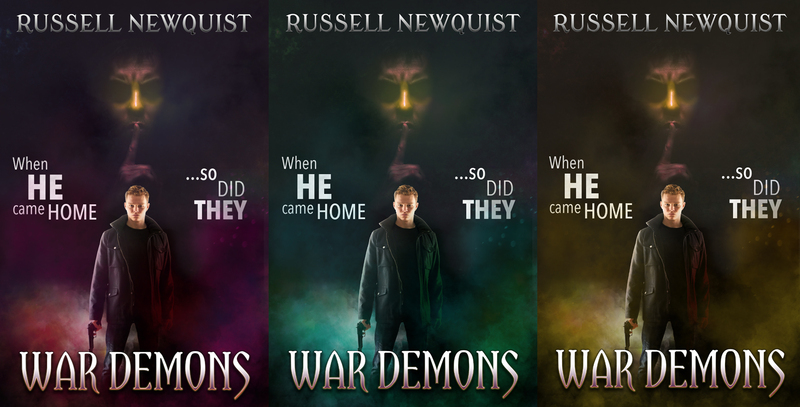 Today I’m very pleased to announce the launch of my debut novel, War Demons. Driven by vengeance, Michael Alexander enlisted in the Army the day after 9/11. Five years later, disillusioned and broken by the horrors he witnessed in Afghanistan, Michael returns home to Georgia seeking to begin a new life. 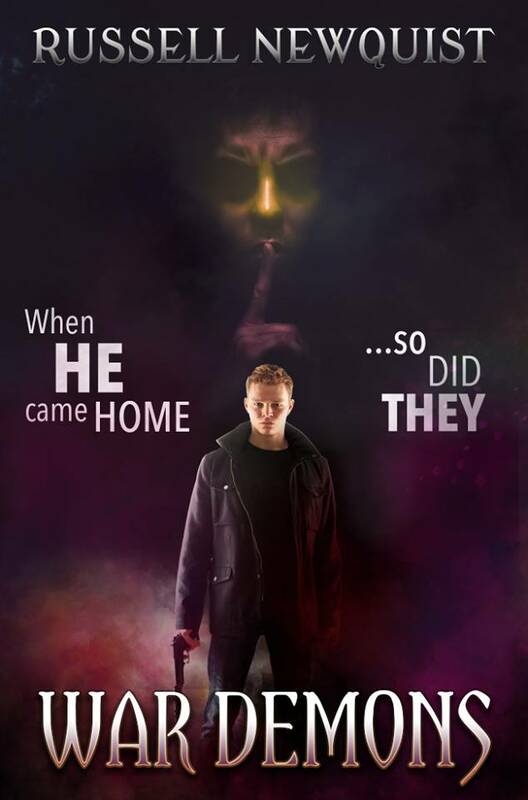 But he didn’t come alone. Something evil followed him, and it’s leaving a path of destruction in its wake. But none of them expected the dragon. Jim Butcher’s Harry Dresden collides with Larry Correia’s Monster Hunter International in this supernatural thriller that goes straight to Hell! 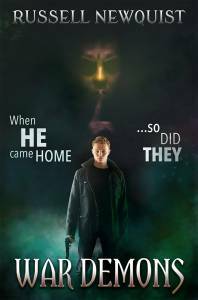 Recommended for anyone who enjoys the more action-packed branch of urban fantasy, particularly if they wish for more explicitly Christian protagonists and story worlds without wanting to inflict the glurge of official Christian Fiction™ on themselves. The twists and turns don’t stop and the reader will rarely, if ever, see them coming. Michael, Peter, Jim, and Abby are all well developed and dynamic characters. None of them leave the tale the same people they were when they came in. Newquist knows how to create tension (every chapter ends with a cliffhanger), but he makes sure you care about these characters before he literally throws them into the fire. 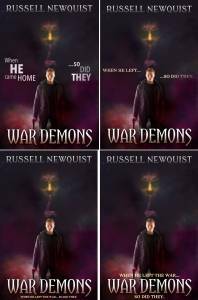 War Demons is a fun quick read that will leave you looking forward to more from the world of Michael Alexander. An excellent first novel. It has its own flavor, but I’d compare it favorably to the Monster Hunter Chronicles by Larry Coriea. Guns and monsters, good stuff. Mr. Newquist has delivered a solid debut work in the vein of early Larry Correia or Jim Butcher. 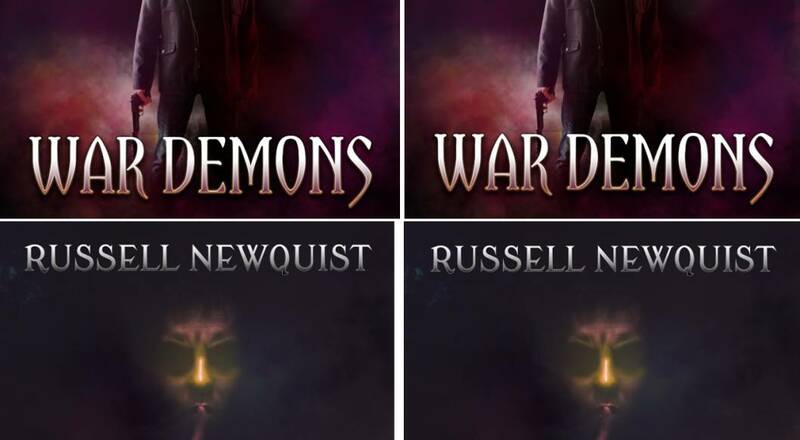 Fans of the latter two authors will devour War Demons. You can get your Kindle edition through Amazon today for only $2.99, or free with Kindle Unlimited. If you still prefer the feel of physical books, you can get the paperback for $9.99. There’s a demon in the church. When Peter Bishop received the Sword of Saint Michael the Archangel he understood right away that dragonslaying would be part of the gig. After all, he first bonded with the blade while fighting a dragon back home in Georgia. And when there’s dragonslaying, saving damsels kind of comes with the territory. But he never expected he’d have to rescue a damsel from a dragon under an ancient medieval church in France. On Easter Sunday. During the Easter vigil mass. Now Peter’s stuck eighty feet below ground with the damsel, a faithless priest, and a little girl to care for. Thankfully, the stray dog showed up to help. The extraordinary mashup of Larry Correia’s Monster Hunter International and Jim Butcher’s Dresden Files continues in Vigil. Look for Vigil in December. It still needs a strong editing pass, a cover, and some other work before release. 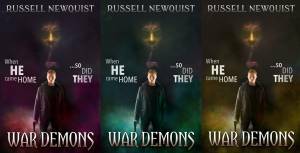 Next on the agenda is Spirit Cooking – book two of The Prodigal Son series and the direct sequel to War Demons. The outline is about 80% done, so I’ll hit the ground running later this week or early next. Brian Niemeier was kind enough to have me on as a guest tonight on his Geek Gab: On The Books podcast. 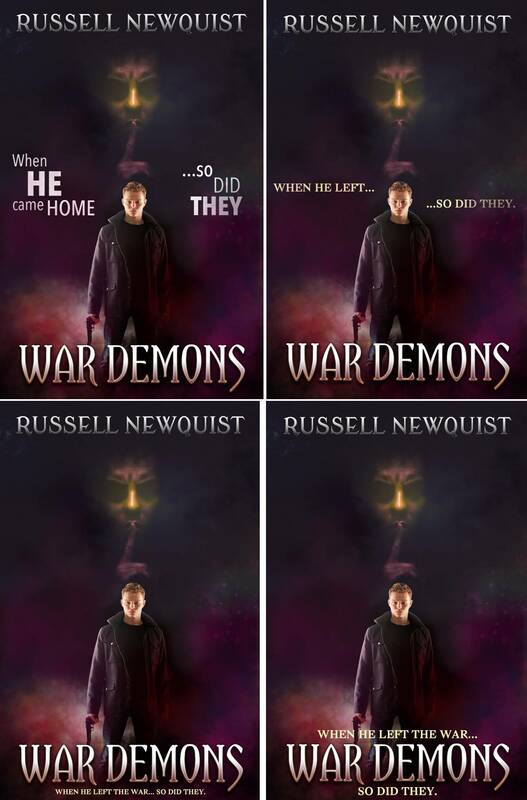 We discussed my upcoming novel War Demons, the pitfalls I faced as a first time novelist, and what resources I found to help me get past them. Thanks to Brian for having me! This time around the results were a lot closer. But in the end, green won. Thanks again to everyone for your participation! Another day, another cover poll! This time a color question: Purple, Green or Yellow? Vote in the post below or on Twitter! The result’s of last night’s poll are in! Thank you to everyone who voted. I got considerably more replies than I expected. I tabulated all of the votes across Twitter, Facebook, and this blog. The winner – by a landslide – was cover A, the one pictured below. New Title, New Cover And a READER POLL! After consultation with some experts who sell far more books than I do, I’ve altered the title for my upcoming novel. With it, I’ve also commissioned a new cover design. Both the title and the cover fit the genre far better. However, all of us (including the experts) had one question about the cover – and we decided the best answer was to ask you, the readers! There are four versions of the cover above (click on the image for a larger version). One has no tagline. The other three have variations on the tagline and positioning. What do you think, dear reader? A, B, C, or D? Polling is open until the end of this week! Vote here in the comments or on Twitter! The second draft of Post Traumatic Stress is DONE! It took me a few months to get back to it, but once I did it took less than two weeks to finish the second draft. In a way, it’s better that it took me a while. A little bit of distance from the manuscript meant that I looked at it with very fresh eyes. I’m quite happy with the current state of the manuscript. The ultimate judgement lies, of course, with the readers. What parts of the book bored you? What parts of the book confused you? You must commit to leaving an honest review on Amazon.com or Goodreads.com – or preferably both – within 1 week of release day. You must be able to read the book and return the survey by May 31, 2017. If you’re interested, send your request to betareaders@silverempire.org. If you’ve already signed up to be a beta reader, thank you! There is no need to sign up again. I held off on buying Monster Hunter Memoirs: Grunge for quite some time. It came out back in August, just as I was settling into the homeward stretch on War Demons. So I made myself wait. I promised myself that I would read it when I finished my own novel, as a reward. When I finished the first draft a few weeks ago, I promptly bought myself a copy and devoured it. 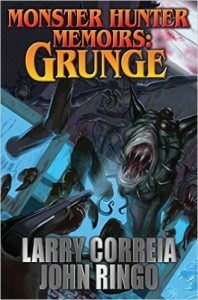 For those who aren’t familiar, the book is set in the world of Larry Correia’s blockbuster Monster Hunter International series. The series mostly centers around Owen Zastava Pitt as he joins Monster Hunter International, a band of redneck libertarian mercenaries from south Alabama who hunt monsters. The series is pretty much exactly as awesome as that makes it sound. Bestselling author John Ringo wrote this entry, however. After the editing job turned into a bit more than just editing, Mr. Correia became a co-author. Fans of both Mr. Ringo and Mr. Correia will love this book. Unfortunately, I only really fit into one of those categories. I have not read much by Mr. Ringo before, but what I have read I have only moderately enjoyed. I did, however, enjoy this book quite a bit more than I have enjoyed Mr. Ringo’s other works. The problem I tend to run into with Mr. Ringo’s works is that largeish portions of them come off as either lectures or preaching to the choir, depending upon your political inclinations. I’m not particularly fond of either. I understand quite well why this has brought Mr. Ringo a massive audience – I’m simply not a huge fan of it myself. With that said, this book exhibits considerably less of that than other works of his that I’ve read. And what it does have comes off less as a direct lecture to the reader and more of just showing the main character’s personality. I found that much easier to stomach. Also, when Mr. Ringo isn’t lecturing to me the book is generally a heck of a lot of fun. On the other hand… even though it’s assembled as a novel, the book reads more like a collection of short stories strung together than like a typical novel plot. I guess that fits with the “Memoirs” theme, but left me a bit unsatisfied. All told, I’d give it three and a half stars – but existing fans of Mr. Ringo would probably add an extra star on top of that.